Changesets are a way to persistently store changes made via the Customizer framework. 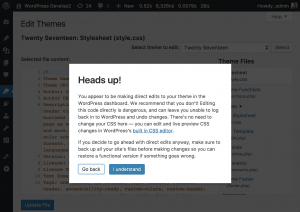 Changesets contain the pending changes for any number of settings, and a setting can model any object in WordPress—whether options, theme mods, nav menu items, widgets, or even posts/pages and their postmeta. Changesets are identified by UUID (which is the post_name for the customize_changeset post type that stores the data as JSON in post_content). When a request is made to WordPress with the customize_changeset_uuid request param—whether to the frontend or to the REST API—the Customizer framework will bootstrap and all of the values from the changeset will be read and applied to the response via WordPress filters added by the settings’ respective WP_Customize_Setting::preview() methods. Only an authorized user can write changes into a changeset for a given setting (according to its respective capability). But once it has been written then anyone can preview the site with the changes in the changeset applied: all that is needed is the UUID. Since previewing a changeset is now a readonly operation (whereas before 4.7 it was always a POST request), a changeset can be previewed on a site by authenticated and unauthenticated users alike. With the changeset UUID supplied when opening the Customizer, a user can keep iterating on a set of changes over several days or longer and only publish them once stakeholders are satisfied. Now, freelancers and agencies will be better able to communicate and collaborate on site changes with clients. Once a customize_changeset post transitions to the publish status then all of the values in the changeset will be passed into their respective WP_Customize_Setting::update() methods to publish (“go live”) on the site: in version control terminology, the staged values from the changeset get committed and pushed. All of the changes go live together in a batch save operation (originally changesets were termed “transactions”). For the initial core merge, no UI changes are being proposed. The feature will only be exposed as the new query parameter on the URL. Adding a UI to this feature will happen in a future release. The future [release] is now. 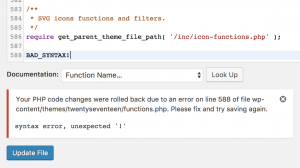 Where the infrastructure of changesets was merged from the Customize Changesets feature plugin in 4.7, the key UI features from the plugin are now being merged in 4.9 after a significant number of design iterations. On the heels of adding TinyMCE rich editing to the Text widget and the media widgets in 4.8, there are another round of improvements coming to the Text widget and Video widget in 4.9, among other improvements to widgets. One very longstanding request—for over 8 years—has been to support shortcodes in the Text widget (#10457). 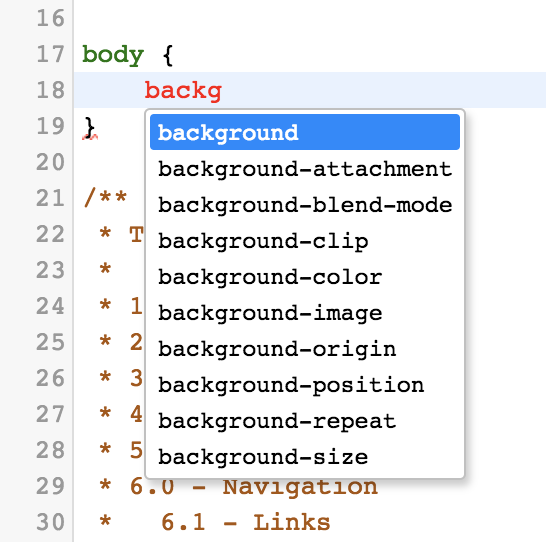 This is finally implemented in WordPress 4.9. 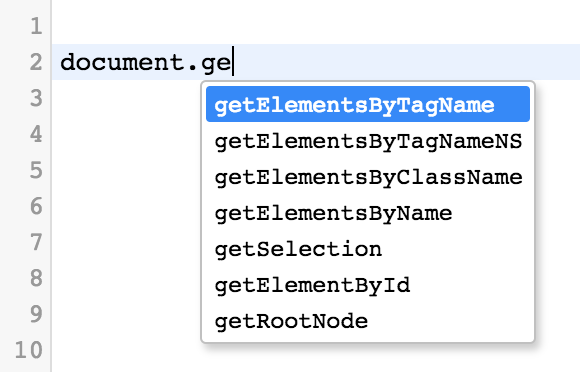 It is no longer required to have plugins and themes do add_filter( 'widget_text', 'do_shortcode' ). Core now will do_shortcode() at the widget_text_content filter (added in 4.8) in the same way it is applied in the_content at priority 11, after wpautop() and shortcode_unautop(). If a plugin has added do_shortcode() to widget_text then this filter will be suspended while the widget runs to prevent shortcodes from being applied twice. If a Text widget is in legacy mode then it will manually do_shortcode() as well. 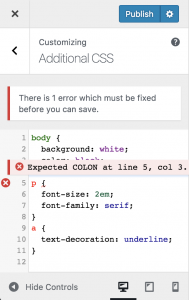 One reason for the long delay with adding shortcode support in Text widgets was due to many shortcodes looking for a global $post when they run. Since the global $post varies depending on whatever the main query is, the shortcodes in a Text widget could render wildly different on different templates of a site. The solution worked out was to temporarily nullify the global $post before doing the shortcodes so that they will consistently have the same global state, with this global $post then restored after the shortcodes are done. So if you have shortcodes that depend on a global $post—or call get_post()—then you should make sure that they short-circuit when $post is null in order for them to behave properly if used in the Text widget. As of  this nullification of $post is only done for archive (non-singular) queries; for singular queries, the $post will instead be set to be the current main queried post via get_queried_object(). This ensures that the global $post is consistent and explicit. This setting of the $post global while applying filters (and shortcodes) is also now implemented for the Custom HTML widget. Additionally, to ensure that gallery shortcodes that lack ids do not end up listing out every attachment in the media library, a shortcode_atts_gallery filter has been added which makes sure the shortcode’s id attribute is set to -1 when the widget is rendered on archive templates. This allows you to embed the gallery for any currently queried post in the sidebar. You should make sure such a Text widget is not displayed on an archive template by either adding it exclusively to a sidebar that appears on singular templates, or by using a feature like Jetpack’s Widget Visibility to hide the widget on non-singular templates. One reason why shortcode support in the Text widget was needed in this release is because 4.9 also allows media to be embedded in the Text widget (#40854). There is now the same “Add Media” button in the rich Text widget as on the post editor, allowing you to add images, galleries, videos, audio, and other media. 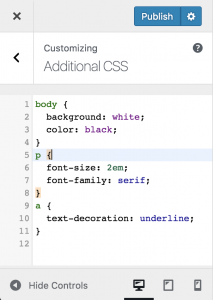 To support these, core also needed to support shortcodes like caption, audio, video, and gallery. Note there are also dedicated widgets (Image, Audio, Video, and Gallery) for these media types as well. Having separate media-specific widgets helps with discovery and allows us to provide streamlined interfaces for each media type. For example, the Image widget now has a field specifically for supplying the link URL (see #41274), and the Video widget now provides more guidance to users when supplying external URLs (#42039). The media-specific widgets are closely aligned with blocks in Gutenberg; the existence of media inside the Text widget will align with eventual nested blocks in Gutenberg, and would be treated as Classic Text blocks in any future migration from widgets to blocks. One shortcode not mentioned above is embed. This one was more difficult to support because oEmbeds have not been supported anywhere other than post content. This was because there were dependencies on having a post as context for the sake of caching, as the responses to oEmbed requests get stored in postmeta. However, as of #34115 if there is no post as context the oEmbeds will now get cached in an oembed_cache custom post type instead. Since a Text widget will explicitly nullify the global $post while shortcodes are processed, this means oEmbeds will get cached in this custom post type. Similarly to how do_shortcode() now applies in the widget_text_content filter like it applies on the_content, so too now WP_Embed::autoembed() and WP_Embed::run_shortcode() both also now run on widget_text_content. In WordPress 4.8 the Video widget was introduced with support for displaying an uploaded video file, a YouTube video, or a video from Vimeo. Each of these were displayed using MediaElement.js. Just as oEmbeds are now able to be displayed in the Text widget, so too now the Video widget has been expanded to support any oEmbed provider for video. See #42039. As with the previously-introduced media widgets (#32417) and the new Gallery widget (#41914), some themes will need to be updated to ensure the proper styling is applied to media and embeds that appear in the widget area context, since previously they would only appear in post content. Please follow #42203 and #41969 for style changes that are made to the core bundled themes, as you may need to make similar changes to your themes. If both themes have only one sidebar, they gets mapped. If both themes have sidebars with the same slug (e.g. sidebar-1), they get mapped. Sidebars that (even partially) match slugs from a similar kind of sidebar will get mapped. For example, if one theme as a widget area called “Primary” and another theme has “Main” then the widgets will be mapped between these widget areas. Similarly, widgets would get mapped from “Bottom” to “Footer”. The names for the widget areas used for the mapping groups were obtained by gathering statistics from all the themes on WordPress.org. #41274: Improve discoverability of link URL in Image widget. See full list of tickets in the Widgets component with the 4.9 milestone. 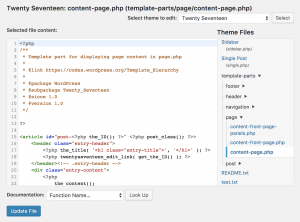 WordPress 4.8 includes media widgets (#32417) for not only images (#39993) but also video (#39994) and audio (#39995), on top of an extensible base for introducing additional media widgets in the future, such as for galleries and playlists. Now in the upcoming 4.9 release this Gallery widget (#41914) has just landed in trunk in . Just as users can add galleries to their post content they too can add galleries to their sidebars. The media widgets are being developed with Gutenberg in mind, as widgets are essentially proto-blocks. 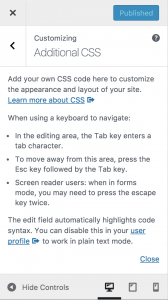 Gutenberg has ported the Categories and Recent Posts widgets as dynamic blocks so that users can add to their posts what was formerly restricted to sidebars. In the same way, the media widgets are allowing for content that was formerly restricted to post content to also be available for addition to widget areas. As Gutenberg matures, widgets are planned to eventually transition over to use blocks, and the widgets for images, video, audio, and galleries will be able to be migrated over at that time. In the mean time, the user should not have to know there is any difference between post content and widget areas. 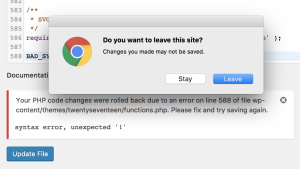 Once the migration from widgets to blocks is complete, users shouldn’t actually perceive any fundamental change in this regard. Modifying order of images and gallery properties. You’ll note that the widget re-uses the same media modals that a user is familiar with when adding and editing galleries in the post editor. There is also a widget_media_gallery_instance_schema filter which can be used to add additional properties, such as a type for Jetpack’s Tiled Galleries. See #42285. As with the previously-introduced media widgets, some themes will need to be updated to ensure the proper styling is applied to galleries that appear in the widget area context, since previously galleries would only appear in post content. Please follow #41969 for style changes that are made to the core bundled themes to then also make similar changes to your themes. The gallery widget was first introduced and tested in the Core Media Widgets feature plugin. The plugin is developed on GitHub and the issues and pull requests related to the gallery widget can be reviewed there for a full history of the feature. Please report new issues on Trac in the Widgets component, after first checking for any existing Gallery widget tickets.